The number of problems encountered by owners of iOS devices, including the iPhone 5S, is now getting even higher. This is manifested by the number of online searches and queries posted over the Internet lately, by iPhone users who are desperately in need of prompt resolutions. Help however, seems hard to find, given there are only a few sites that are offering free support for iOS device concerns compared to its tough rival Android. That's why we're here. If you are one of those iPhone 5S users in need of help, we encourage you to read on this piece. This content will serve as additional support for iPhone 5S owners/users who are having some troubles with the smartphone. We've managed to sum up five common problems with the iPhone 5S, along with possible solutions and workarounds for each of them. The first five problems with the iPhone 5S that are being tackled in this content would include Sensors glitch, iMessage not working, Touch ID problems when purchasing on iTunes, iBeacon issues and lastly, the blue screen of death. 1. Sensors glitch - there have been a lot of reports from owners of the iPhone 5S complaining about the phone sensors that are wildly inaccurate. For example, when they tried to access a spirit level or inclinometer by swiping left in the Compass app, they found that it's not functioning correctly. Some even said the accelerometer, gyroscope and compass have been malfunctioning on their device. The issue is said to be specific to the iPhone 5S. There is no definite findings as to whether this is a hardware or software glitch. If it is a software issue, then Apple should have acknowledged this issue and should roll out an update to fix it. But so far, no word from the iPhone-maker on this matter yet. Unfortunately, the only possible solution we found if this is a hardware issue is by taking your iPhone 5S back to the Apple Store and ask for a replacement phone. However, be sure you're getting a fully functional replacement phone. 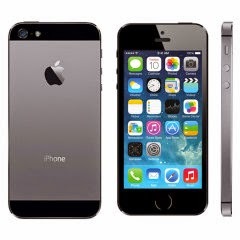 There have been lots of reports about getting faulty replacement iPhone 5S. Messaging problem on the iPhone has long been a common issue among iPhone users. Complaints are mostly about the inability to recognize non-Apple devices. Among other pertinent issues encountered by users with the iPhone 5S iMessage feature include vanishing text messages and unable to send iMessages. The problem on iMessage feature is commonly dealt with by a phone restart. Just go to Settings -> General -> Reset -> Reset Network Settings. The issue is on the iPhone 5S that would not accept the user's fingerprint when authenticating an iTunes purchase and users are often prompted to enter their password. Good thing this problem has already been addressed by Apple, by rolling out the 7.0.1 firmware update. To make sure you get this fix patch, go to Settings->General->Software Update on your iPhone. Another way to get the update to fixing Touch ID, is through your computer. Connect your iPhone 5S and check under Devices in iTunes. To finally view update, tap Check for Update. The main issue is on the iPhone 5S' iBeacon that keeps working. The iBeacon is a location feature that alerts applications everytime you approach or leave a location. Many users complained that even after they've closed an iBeacon-enabled app, it continues working. The only available solution to this problem so far, is by turning off location services on your phone altogether. We'll continue to perform further searches for any other potential resolutions to this concern and get back to update this post by then. Blue screen of death refers to a condition in which the user runs into a dreaded blue screen. The problem is said to be likely caused by third-party apps running on the phone. This problem often occurs when using the phone's Keynote, Numbers or Pages, as well as when you're in a document editing, and then pressing the Home button. For some reasons, iPhone 5S crashes to a blue screen and then it'll reboot loop. This issue has already been acknowledged by Apple and that the company is already working on a fix patch. However, in the meantime, there is no definite solution available. Some people though are resourceful enough to find certain workarounds that helped them deal with the blue screen of death problem on their iPhone 5S. You might as well would like to give the following methods a try, and hopefully you too may obtain momentary resolution to this problem. * Since the problem usually occurs when you're in a document editing and then you tap the Home button, be sure to back out of documents before tapping the Home button. * Disable or turn of iCloud sync for iWork apps. To do so, go to Settings->iCloud->Documents & Data. Disable the options for Pages, Keynote and Numbers, by sliding each of their switches to OFF. * Try to use updated apps to make full use of iOS 7. If problems persists and are becoming more often to the extend of impeding user experience, we suggest contacting Apple customer service and escalate your device issues for further support. Hope this has helped you get your iPhone 5S back to its best condition, or at least led you to the right path towards determining the cause.